Boston Homestay Incorporated --Bostons leading homestay placement service"
What is Boston Homestay Inc.? Who utilizes Boston Homestay Inc.? What's included from your Boston Homestay Host? Who are Boston Homestay Hosts? Meet Nancy from Boston Homestay Inc.
How to contact us at Boston Homestay Inc.
What is Boston Homestay Inc. ? Boston Homestay Inc. is Boston's longest, and best, homestay placement service for International Students and Business/Medical Professionals seeking an alternative to dormitory lodging, hotel stays, and apartment dwelling. We offer the International Student and Professional Individual an opportunity to participate in a unique inter-cultural experience by living with an American Family in the Greater Boston area. We cater to individuals ages 17 and over, seeking a "home away from home" for a period of several weeks to several months. With several hundreds of individually interviewed and qualified Boston Homestay Host Families located throughout the Greater Boston area, we are sure to find the right fit to match your needs and make your stay in Boston a pleasant and memorable experience. Who utilizes Boston Homestay ? What is included from your Boston Homestay Host ? Who are Boston Homestay Hosts ? Please complete this form and submit an advance copy by clicking on the SUBMIT button at the end of this form. Shortly after receiving your completed form, we will notify you on the availability of Homestays matching your requirements, and quote a specific Homestay Rate. an Application Processing Fee of $200.00 per person, plus your quoted weekly Homestay Rate. Only when you are notified of the particular Homestay availability and specific Homestay Rate, will you be billed for the one-time Application Processing Fee of $200.00. Shortly after we receive your Application Fee, you will be sent the details on your Homestay Family and accommodations. Your Application Processing Fee will be refunded to you only if Boston Homestay cannot find a homestay per your requirements as stated on this form. This fee cannot be refunded once the Homestay Families details have been forwarded to you. In addition, if for any reason you need to cancel your homestay reservation after you have received you Homestay Family details, a cancellation fee will apply. All cancellations must be made in writing and if the cancellation is received by Boston Homestay within 7 days of the scheduled arrival, two weeks of homestay fee is due. If the cancellation is received within 14 days of the scheduled arrival one week of homestay fee is due as a cancellation fee. Please note : Airport Shuttle Pick-up Service is available, if required. Please inquire about costs and details. Would you prefer a family with children? If you have any problems submitting this form, please e-mail us instead, providing the same requested information. 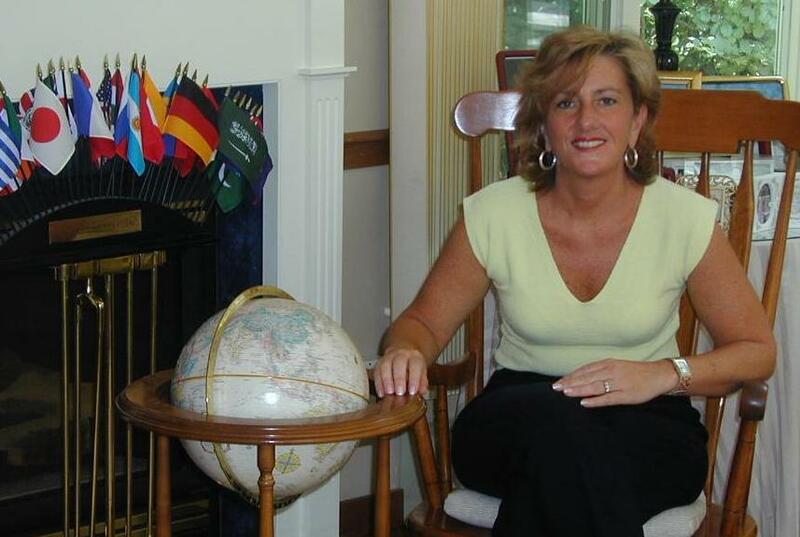 Meet Nancy of Boston Homestay Inc.
Hello, I'm Nancy Pongratz, President and founder of Boston Homestay Inc. My husband Simon, our daughter, and I have been personally hosting International Visitors for many years in our home, and we've thoroughly enjoyed the experience. The many wonderful friendships we've made with our guests from around the world has led to the founding of the company. Boston Homestay is dedicated to making your experience in a homestay in the Greater Boston Area a pleasant one. Boston Homestay Host Families are personally interviewed and chosen for their commitment to making their International guests feel right at home. My background includes over 25 years of experience in Public Relations, Human Resources, Real Estate, and working with Overseas Personnel in various business related fields. I look forward to hearing from you and helping you to find your "home away from home" while you're in the Greater Boston Area. Copyright © 1997-2019 by Boston Homestay Inc. All rights reserved.